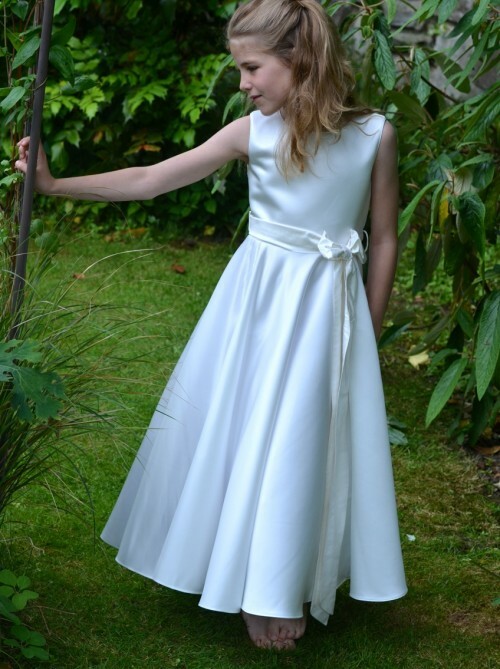 Gorgeous flower girl or bridesmaid dress in sumptuous satin with a full circle skirt and a generous petticoat. Available in a choice of colours with matching or contrasting silk sash and button colours. This dress is available in a variety of coloured satins, aubergine, blush, cloud, ivory, merlot, midnight, slate and white.